With summer in full swing and the kids running around all day at camp, the screen time rules in our house have started to become more flexible. These days, my older kids (ages nine and seven) have increasingly been choosing the computer over the TV or playing video and handheld games. They’re into playing and chatting with friends within a few of the virtual worlds that have launched recently. Here are a few that have caught our eye. On Herotopia every child is the superhero they dream about. Kids create characters that go out and do good in the virtual world, namely vanquishing bullies. It’s not a violent world, though. The bullies are subdued, not killed, and the super powers are more fun than lethal. For instance, you can have super powerfully bad breath— enough to make the bullies go away. There’s plenty of free content, but an All-Access pass enables kids to get a sidekick and a Supervehicle, have more choices for customizing the look of their Superhero and Secret Hideout and earn rewards with Experience Points. Membership costs $5.95 a month, $29.95 for six months or $57.95 for a year. There's no question FunGoPlay will appeal to boys with its toilet-paper strewn virtual locker room and emphasis on sports, though there's plenty for sport-loving girls to enjoy as well. There are spots for playing baseball, soccer and basketball, running races and skateboarding, to name a few. Some of these games are free, but others games and ways to personalize your locker and character require membership. Members also receive their choice of soccer ball or flying disc for use offline. The gear has a motion sensor to keep track of how often it’s used. Once your child is done playing he or she can enter the level code into a “Stat Book” online to level up the online character. 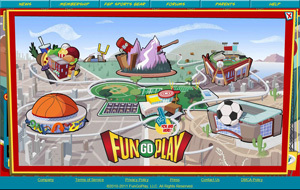 One level code equals about seven minutes of play. Membership costs $5.95 a month, $30.95 for six months or $47.95 for a year. If your children love animals as much as mine do, National Geographic Kids’ Animal Jam will be a great choice. With their animal character, they can explore the world, clicking on plant and animals to learn about them. There are also fun nature videos to watch. The main storyline has your child finding out why the animals are disappearing. 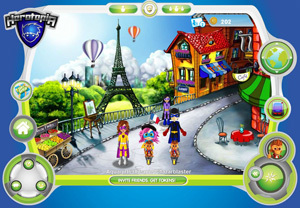 Along the way they can play mini games, safely chat with other kids and customize their look and that of their den. Joining Animal Jam gives kids an instant in-game currency bonus, plus access to member-only animals, clothing items, dens and customization. Membership costs $5.95 a month, $29.95 for six months or $57.95 for a year. When kids join LEGO Universe, they build things with LEGO bricks, find and train LEGO pets, play mini games, chat with friends and family and battle in an epic quest to save imagination. Kids can customize up to four characters and join one of four teams to acquire special "powers." Membership is the only option for now and costs $9.99 a month, $49.99 for six months or $89.99 for a year. In August, though, kids can play in a new free-to-play area that has two areas to explore and one property area for making LEGO models. 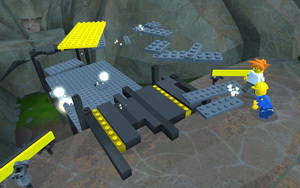 Members can access more than 15 areas and five property worlds, as well as Ninjago content coming later in the year.